When travelling to a new place the rational decision is to get first source information by relying on local providers, whether it’s for leisure, business or travel purposes. That’s also the case when chartering a private flight in a foreign continent as Europe, where other aeronautical rules and restrictions are in place and where the geographical conditions might play a larger role when planning your next flight. With all these variables in place, relying on the market knowledge of a local charter broker is paramount. Before taking your commercial flight to one of Europe’s main cities, you can prepare a connecting private flight with a local broker in order to maximize your time in the continent. Did you know that the private jet slots to the Greek islands are assigned only days prior to the flight? Well, this is only one piece of information provided by experienced brokers like Europair, which has been advising passengers with the best way to fly private within Europe for 25 years. Further, advice from brokers regarding certain rules and regulations that are specific to each country, such as the Italian luxury tax on private aircraft, will require special attention when calculating costs. And what about airport opening times and operating restrictions? Each terminal is a world of its own when it comes to night-time noise abatement procedures, runway restrictions, availability of parking stands, within others. Therefore, the need to rely on trustworthy information, especially when time is money, is one of the keys to enjoy the private jet experience you deserve. This is the real value that a charter broker can provide; thoroughly assisting the passengers during the whole process and acting as a proactive intermediary between the client and the operator. As you already know (or not), there are two types of providers in the market, operators and brokers. Operators on one side have their own fleet, which is fixed in the amount and type of aircraft, and charter brokers, on the other side, although don’t own an established fleet, have the capability to source from thousands of aircraft in order to adapt to the client’s needs. And they do it by having an established relationship with various operators in diverse continents. “As a reputable broker in Europe, we only work with established private jet operators. We have a strict selection process of providers that assures our clients with the highest safety standards, vast experience and overall superior service. 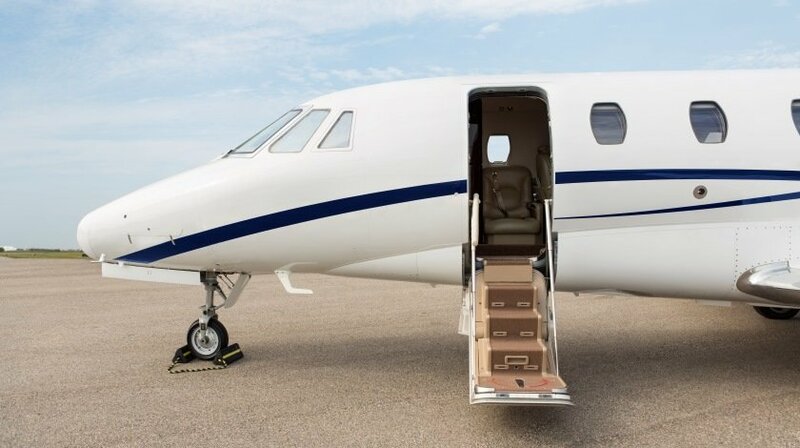 From the right aircraft to the most appropriate airport we, as a broker, accompany our clients during the whole process. As one-stop-shop access the broker handles all the details related to the charter flight organization, saving you time and second guessing”, states Gerardo Manzano, CEO of Europair. One last thing to keep in mind is that private jets are constantly flying and often need to be repositioned to different airports for commercial or technical reasons, regardless of the official base of the operator. For this reason, brokers do not only look at aircraft based in the airport where passengers need to fly from, but can also access aircraft flying nearby, thus saving time and money and increasing the number of viable options to be considered. In essence, local brokers know the unspoken rules of private aviation in their countries and specific continents, bringing value and reliability to foreign travelers who seek a setback-free flight thousands of miles from home. Would you like to know the rates of a private flight to your dream destination in Europe? Visit Europair’s website and get an instant quote with price, type of aircraft and availability or download the Europair Jets app.